There’s one aspect of Aviom’s A360 Display app that may not be readily apparent: using it to train performers how to get a better monitor mix quickly. Remember, giving a musician a way to control his or her monitor mix is only a start; they need to know how to best use that all that control too. 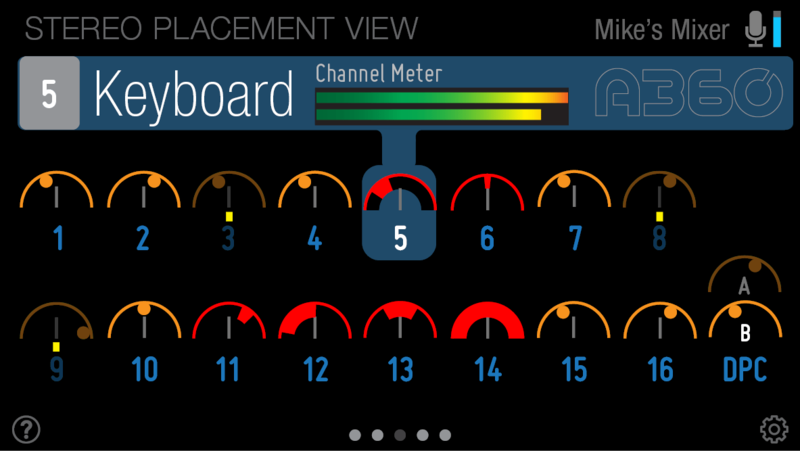 A360 Display can be an effective tool to help musicians get great sounding mixes consistently. Intuitively, musicians will know what they want to change in their monitor mixes, but only up to a point—they want more of one thing and less of something else. 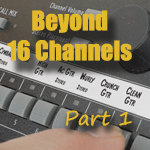 Without any training beyond the basics of how to operate the personal mixer, most musicians will start adjusting their mix right away: more of their vocal, less drums, more keyboards, and so on. But that will get them only so far, and making the leap from a decent, serviceable mix to a crystal clear, musical, and natural-sounding monitor mix requires a bit more knowledge and expertise than what most people just figure out on their own without training. In order to keep things simple, there are a few basic mixing concepts that we’ve found are very helpful to musicians but also very manageable for most to think about while they’re more focused on the music and performance. Use panning and stereo placement effectively. Eliminate unnecessary elements from the mix. It shouldn’t be hard to convince most people to listen in stereo—after all, it’s how our ears work by default. We always suggest to users that using good quality stereo headphones or earbuds is an important component of a monitor mix. And when it comes to earbuds, use products that are designed for live performance monitoring and not those that came with your phone. There’s a big difference in performance, fit, and sound quality. So, with point #1 taken care of, let’s move to point #2 and that’s where A360 Display can be most useful. 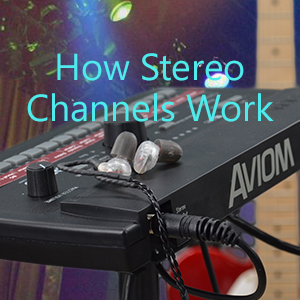 What if there was a way to see the results and benefits of mixing in stereo…. Look at mono channels 1 and 2. Each is panned away from center a bit. If this were two guitars, it would be easier to hear each instrument as individual parts because there will be less competition for placement in the mix than if both channels were centered. Compare stereo channels 11, 12, 13, and 14; the size of the red band shows the relative separation of the left and right sides of a stereo channel. 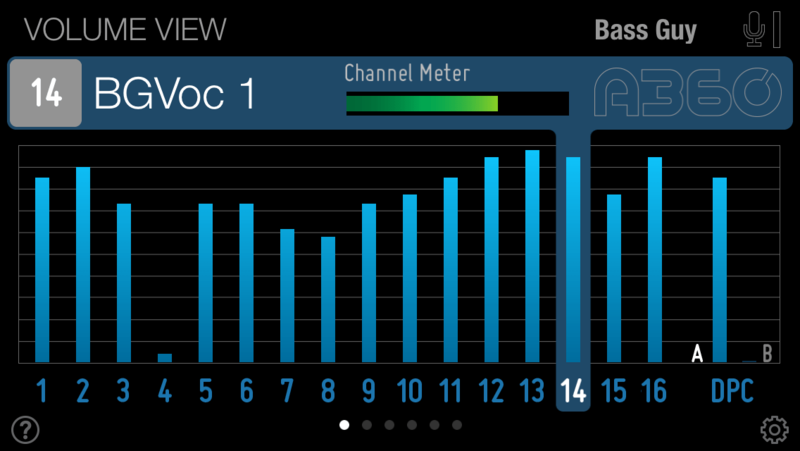 Notice that channel 11 is stereo but very narrow and is balanced to the right; channel 12 also is stereo, with its left-right spread wider than channel 11 and the channel is balanced towards the left ear; channel 13 is centered but not fully wide, while channel 14 is wide stereo and appears in equal amounts in each ear. This technique gives each element of the mix its own space in the mix and will ultimately allow the performer to monitor at a lower volume because there is less competition for space. It’s easier to hear these element panned this way than if they were all panned fully left/right. At the same time, we don’t want musicians to have to start thinking like engineers—we want them to stay focused on making music not mixes—so it’s helpful to provide techniques that quickly help a performer accomplish the goal of getting a solid monitor mix with minimal effort and without distractions. 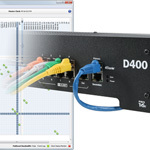 When it comes to making an effective monitor mix, each musician’s needs are a bit different. A bass player will concentrate on playing tightly with other rhythm section elements and may not need to hear vocals loud, while a background singer will need to hear more of the other singers in order to blend, phrase, and stay in tune. 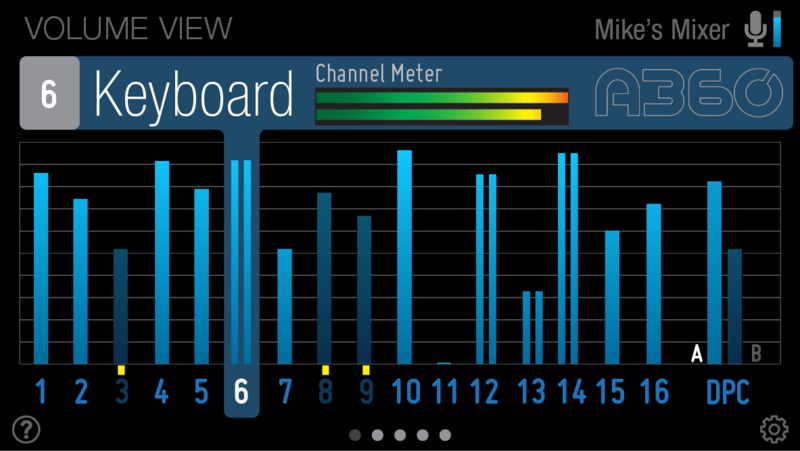 The example above show the levels of each channel in a mix and can be used to get a visual reference as to how the various channel volumes are interacting. If your piano is channel #4, then it’s pretty easy to understand why this mix is lacking that element simply by looking at the graphic.